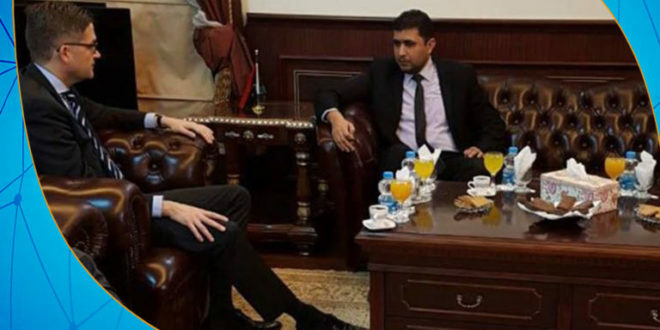 The German ambassador to Libya, Olivier Owcza, on Tuesday, confirmed his country’s support for the steps taken in monitoring the budget between the public and private sectors and the economic steps in Libya carried out by the government and implemented by the Ministry of Finance. 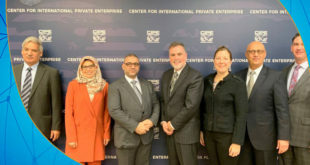 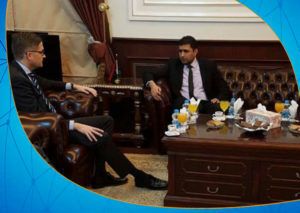 During his meeting with the Minister of Finance of the Government of National Accord (GNA) Faraj Boumtari in Tripoli, the mechanisms of economic reform to achieve stability and balance in the Libyan market have been discussed, according to the official page of the Ministry of Finance. 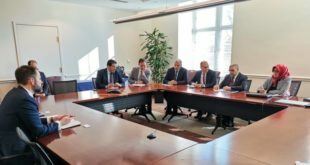 The program of economic reform was approved to be implemented on 22nd of last September, in the presence of the President of the Presidential Council and the President of the High Council of State and the Governor of the Central Bank of Libya.